does anyone else have any on topic pertinent information? Last edited by silverheartbone; 10th November 2018 at 13:02. Silver is the Rodney Dangerfield of real precious metals. Due to bankster manipulation to make the fiat dollar strong, you can currently buy silver for less than it costs to mine and smelt it. The refining, minting, packaging, and transportation to your house at this point seems to be a complementary service, but the reality is that many mines are taking the loss. This anomaly makes no sense, and it cannot last, this fake "dollar" boost, but there it is. A real US (constitutional) dollar has been defined as a specific weight, 371.25 grains of silver, since the 1792 Coinage Act. Why do the youth buy virtual coins when they can still get real ones? Today one can get ~84 ounces of silver or one ounce of gold, and at this time I recommend getting any amount of silver over gold. If you are just starting out, get government silver bullion coins or 90%, NOT SILVER ROUNDS or BARS, because coins are much easier to move when the time comes, and people won't think that you are trying to pass fake silver. Anyone can buy legal fake silver rounds and bars all day today on ebay. I wouldn't trust anything that wasn't a real government coin if TSHTF. Good luck. I've done business with all four of these online dealers and this is what you should buy to start. You can purchase fake American Silver Eagles and fake American 90% coins made in Asia. Buying generic Silver rounds and bars is the most safe product you can purchase as long as you are buying it directly from one of the mints such as Golden state mint. There are numerous products produced by many different minting operations or maybe they should be called stamping plants because they are not actual mints producing a product from scratch, but buying blanks from an actual mint and stamping them on with their dies. But just because many dealers are selling Golden State mints products does not guarantee it's real or new and not recycled. That's why buying directly from a mint provides the new product with about the best guarantee it will be real just shy of getting it directly from he US Mint. Plus I do not agree that 90% coins will have any advantage vesus pure Silver billion rounds or bars as they create their own problem simply by the fact their weight is not accurate and will take a learning curve before many people will be willing to deal with government coins, which could be a nightmare for anone holding 90% only coins and from people accepting them. It's one thing to buy some US coins as a means of adding the equivalentcy of fractional Silver to your stack. Last edited by valerb; 23rd November 2018 at 09:45. Update on the box price. Now one can get TWO authentic SILVER SHIELD boxes for the price of a troy ounce of generic silver! Just curious, why would you be interested in purchasing SIVER SHIELD boxes intended to present proof SILVER SHIELD ROUNDS? Since they cost half the price of an ounce of Silver for a box that cost next to nothing to manufacture. Is this another one of your get rich schemes, shove a BU SILVER SHIELD ROUND on some unsuspecting slob as a proof round to share as another family heirloom? You are aware of knock off boxes selling for much less, so why buy an original for sky high prices just to store a BU round? PS all my one ounce Silver rounds came from one Mint and the same for all my fractional Silver rounds. The only Silver I have that could be in question are the monster boxes of ASE's bought from APMEX, but since they are one of the trusted dealers and the boxes still came with the band on them from the US Mint, chances are extremely low of any tampering with the product. That still didn't stop me from opening each box and checking the contents, which I had to do anyway to store in safe deposit boxes not large enough to fit an intact monster box. Last edited by valerb; 11th December 2018 at 06:11. I only buy them full. I wonder if you intentionally misconstrue or is it just your nature? Anyhow, I have 5 of those valuable boxes, filled with proof silver just waiting to be transported into my secret stash. and those two Silver Crypto proofs are some excellent strikes. 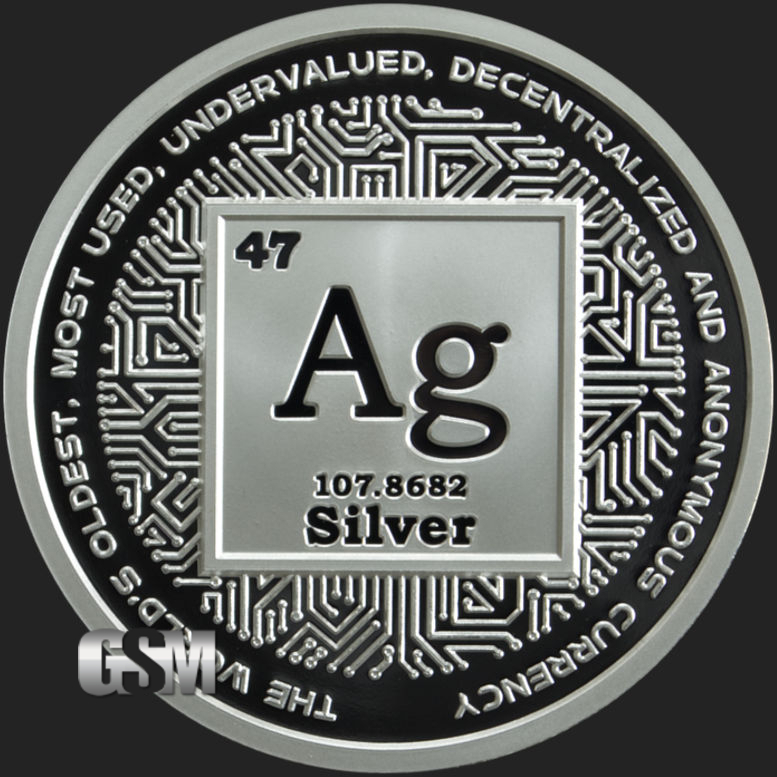 Might order some of the Silver Crypto design in BU when they are available. The other three boxes are from ebay. So all my proofs have boxes, as I make sure that it is part of the ebay item description. Therefore I've not been in that particular market. However, if you want to buy one or two, then I'll let them go if the offer is good enough. But right now you'll do better on ebay, because I think they'll help the resale value when time to sell to another individual. You only buy proof boxes full, so why even start this thread about your ability to buy the empty proof boxes on Ebay if you have no desire to use them and then come back with another posting that the box prices are even lower now. I think the only thing that is full of anything is your ability to constantly counter what you say from one post to the next and that does not come in boxes. What amazes me to no end is how you come on the forum and state your goals for a set target and then come back a couple weeks later or maybe after your next government check came in and state how you've done a 180 degree change in direction only to do it again weeks later. I don't care what you do or which direction you choose, but get your act together and stick to a plan or keep your bouncing ball a secret so as not to make a fool out of yourself. PS ASE have been selling in the $14 range for how long now and just how many have you purchased when you stated that you would jump all over $14 ASE's if you had the chance to meet your target goal. Also all your above links to GSM products are useless now, you need to link them to their actual pages found on GSM. Last edited by valerb; 11th December 2018 at 21:36. It seems like the point of this thread was lost on you. Not to worry there, with the Shellster troll gone, you are the champion forum fool. I haven't even seen a generic ounce for sale in the $14 range. If you were to state $17 then you'd be correct about the ASEs. I have stacked 69.8% of the sub 20 FRN ASEs that I intend to start my ratio trading into AGEs with. I didn't know that you cared, but my plan is to obtain the remaining 30.2% of the starting stack in January unless the spot price pops into the $20s. Then on to buying more constitutional junk to re balance my stash's ratios. I am also going to stockpile five or six metal cans of ground coffee because I'd miss it if the imports stop arriving from South America next year. Well actually you have bought rounds in BU form not long ago from that collection so don't play dumb and claim you always buy them in proof form. Your correct you did not say you would jump all over $14 ASE's, you said if the spot price dropped down to the $14 level again you would forget about buying generic and go after ASE's, so don't try to play that same game of bait and switch others have in the past. Oh I didn't mean if the spot price would never fall below $30, I meant you couldn't buy anything for under $30, then it was, I didn't mean anything in Silver I meant an ASE until even ASE were being sold for under $30. Same story was tried at the $20 level and now your trying to revive it once again for your own cover story. Remember! I read all you post, I'm up for a good laugh just like the next guy. Most are so hysterical from week to week I can't forget your ever changing plans. It's like reading a comedy novel from the local alzheimer clinic. Not sure what you were trying to say regarding I'd be correct about $17 ASE's as you have had numerous opportunity to purchase thousands of ASE's in the $17 range and countless in the $16 range and that included the dealers premium. For you to post you haven't seen any generic rounds for sale in the $14 range is a bold face lie and anyone that even looks at the dealers sales page once in awhile this year would have more than likely spotted brand new generic Silver one ounce rounds for sale and for anyone that watched it on a regular basis would know they have sold for under $15 for extended periods at times. Your always suggesting great deals for low cost Silver, if you haven't seen any Silver for under $15 then I suggest you stop posting supposedly great places to buy. And before you claim that's BS, simply look at the Silver historical spot price and goto any date you find it under say $14.40 other than right now as they are not selling them on an any price basis, then visit the dealers sales page and listed under SD BULLION and look at their prices for a new one ounce round. Oh excuse me, I forgot your game plan, you'll insist it has to be the generic Silver of your choice and not simply generic Silver as you have stated. Now that's not just limited to those one ounce Silver rounds, but new ten ounce bars as well when the spot price was below $14.21 and we have seen a lot of that this year, too much actually. Humm, I wonder how the dealer is going to care about which generic Silver Round you present to him for a swap for Gold when it's trading at your fantasy 1 to 1 or frankly any ratio, but go ahead twist this anyway you want to try and squirm out of another lie. Last edited by valerb; 12th December 2018 at 17:25. Where are the other forum members? Responding to a troll is sad. Sherlock you are truly the "dumb as a rock" party here. If you look at my post above I linked to some BU rounds that I ordered in October and just received. I even stated that I want to procure some BU SS Crypto Silver when released. I haven't bought any generic silver in months. I have bought ASEs this month. Why are you so special? Obviously reading and comprehension are separate processes in your special brain. Obviously you are delusional at best if you think that know what I've seen better than I know what I've seen. Yesterday I changed my mind and decided not to swap for AGEs. mainly because I don't want to deal with clipping any Eagle. instead of the equivalent solitary gold coin. 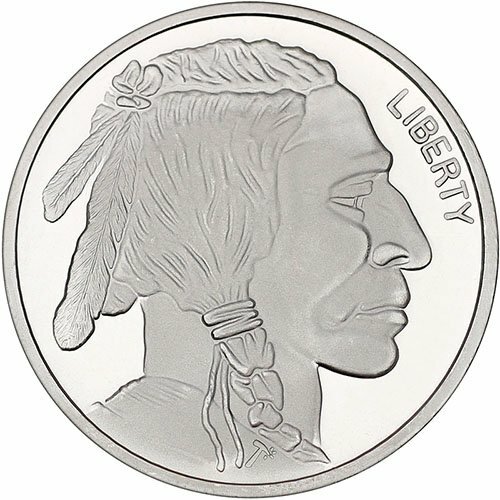 rather I hope to be directly swapping my U.S. fine silver bullion into 24K fine gold bullion Buffalo U.S. coin.